Click the arm to spin/stop, hit submit to submit. Race To 21 is a Solitaire Blackjack game played in 4 columns. Add cards to any of the columns to total 21 without going bust! Play against the clock or play a relaxed game with no timer. This highly addictive card game will have you playing again and again! Lucky Seven Slots has all of your favorite lucky slot themes including shamrocks, lucky seven, lucky horse shoes, crowns, and the four card suits. Lucky Seven Slots is an awesome slot machine simulator that also allows you to play on Facebook and Android. Lucky Seven Slots includes your favorite vid..
A "Maxi Claw" style Lucky Dip game. VERSION 1.2d UPDATE: You now have Tooltips explaining dice hands as well as an UNDO button! Alexander finds himself lost in a spooky forest. Can he find his way out in time? Use dice and see how far you can run! Hopefully you'll get out of the forest before he gets scared to death! Utilizing dice ro..
Howdy pardner! Why don't you mosey on down here and take a look at this golden classic, 7-card 'Klondike' solitaire! Sort the deck into suits on the home stacks, and see how many rounds you can clear in a row! With three difficulty levels, you can play a nice gentle casual game, or try your hand..
Move all the cards to the foundation (upper right corner) The foundation piles must be built with cards of the same suit and in acending order, wrapping from K to A if necessary. The tableau piles (the cards below the foundation) must be built in alternating colors and in decending order, wrapping..
Solitaire veterans, time to prove your possession of talent and fortune in Cruel Solitaire! Your goal in this game is to move all cards by suit from A to K to the foundations. When the game starts, all 4 Aces will be moved to the 4 vertically arranged foundations on the right of the screen. Then eac..
Medical Maniacs is a Doctors and Nurses themed slot game. 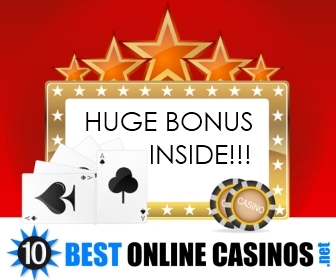 The slot includes a feature game that is triggered by displaying 3 or more scatter symbols.